Zebra Medical Vision announces it’s the recipient of three grants from the Israeli innovation authority to provide AI analysis at Ichilov Hospital, and through Integrated health providers Maccabi and Clalit. 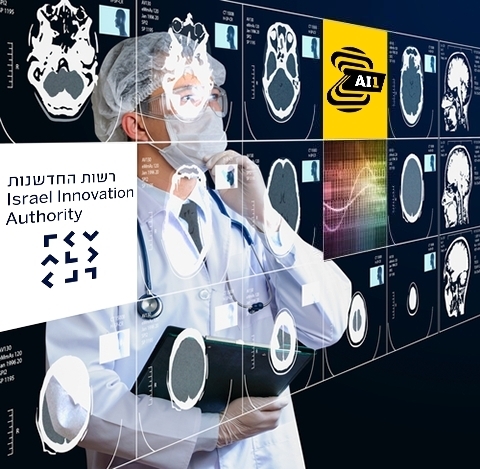 Zebra Medical Vision (https://www.zebra-med.com/), the deep learning imaging analytics company, has received government support through generous grants from the Israel Innovation Authority. Zebra Medical Vision will put its AI algorithms to use in critical emergency situations at Ichilov Hospital, and will work to detect early signs of breast cancer and osteoporosis at Macabi and Clalit HMOs. These three health providers manage over 90% of Israeli patients. The emergency room is a bottleneck for deciphering and diagnosing medical cases, and therefore requires rapid and efficient interpretation using artificial intelligence. Zebra-Med’s technology can help radiologists prioritize by scanning their entire queue and flagging those that need immediate attention, such as acute brain bleeds in head CT scans or Pneumothorax in chest X-rays. Additionally, Zebra Medical Vision will provide its AI predictive imaging analysis in collaboration with Israel’s largest HMOs to risk stratify large populations and enable early detection of breast cancer and osteoporosis. Maccabi Healthcare Services, owner of Israel’s largest private medical centers: Zebra-Med will provide its deep learning based breast cancer algorithm as a “second reader” to reduce the risk of misdiagnosis. “The cooperation between Clalit and Zebra Medical Vision enables Clalit to conduct comprehensive research on large populations that have undergone imaging tests, while continuing to lead the implementation of technological innovation to advance the health of its members. Clalit is working to bring its members the most advanced technology, to both improve and maintain their health,” said Prof. Ran Balicer, Director of the Clalit Research Institute. CEO, Israel Innovation Authority, Aharon Aharon: "The Innovation Authority believes digital health to be of imperative and strategic growth engine for the entire Israeli economy, hence promoted the Pilot Program with Government Companies. Zebra Medical Vision, selected as one of the winners in this program, represents the flagship that will helps substantiate and promote digital health in Israel." Zebra-Med’s data and research platform has already yielded AI imaging insights that have been deployed over millions of scans. Last year, Zebra received 7 CE marks and for its various algorithms and 510(k) FDA clearance for its Coronary Calcium Scoring algorithm allowing the company to expand its footprint in the US and EU. In addition to the Israel Innovation Authority grants, Zebra has also raised over $50 million from a range of investors over three funding rounds. Zebra Medical Vision uses deep learning to create and provide next generation products and services to the healthcare industry. Its Imaging Analytics Platform allows healthcare institutions to identify patients at risk of disease, and offer improved, preventative treatment pathways to improve patient care. Headquartered in Kibbutz Shefayim Israel, the Zebra was founded in 2014 by Co-Founders Eyal Toledano, Eyal Gura, and Elad Benjamin and funded by Khosla Ventures, Marc Benioff, Intermountain Investment Fund, OurCrowd Qure , Aurum, aMoon, Nvidia, J&J, and Dolby Ventures. 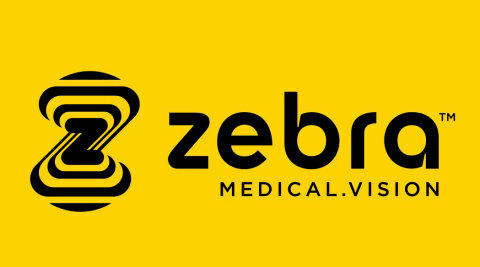 For more information, visit www.zebra-med.com. Zebra Medical Vision announces receiving three grants from the Israeli innovation authority to provide AI analysis for healthcare institutes in Israel.